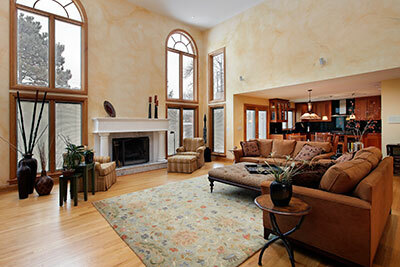 Despite their age, Persian carpets are becoming more and more popular. The appealing designs, live colors and superb quality of these carpets make them an elegant addition to any home. However, cleaning them can be a very challenging task if one tries to use traditional home washing methods. Given enough time, your Persian carpet is bound to absorb dust particles and dirt – first on its surface, and later on deep within the fibers, eventually resulting in noticeable carpet stains that will take away its stunning beauty. Bottom line: your carpet will look dull and lose its beautiful appearance. To extend the life of your valuable investment, you need to make sure that it's properly cleaned on a regular basis – this is where we can be of great help to you. 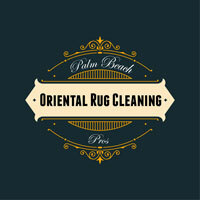 We we're a well-known Oriental carpet cleaning and repair service in the Palm Beach area – with our team of highly-trained rug lovers and their wealth of experience accumulated over years of handling all types of cleaning tasks, we can promise to restore your Persian carpet regardless of its present condition. We always go to great lengths to ensure that your carpet is thoroughly washed and is restored to its original beauty: since a Persian carpet is pricier than most others, it makes for an important investment for your home and it stands to reason that you'll want to extend its lifespan and preserve its looks long enough to pass it onto future generations. To meet these demands, our team of expert carpet cleaners will get rid of all the stubborn stains and blemishes using our superior cleaning techniques that will leave your carpet's texture and colors intact – we guarantee a safe, gentle and quick cleaning service for even the toughest of stains. 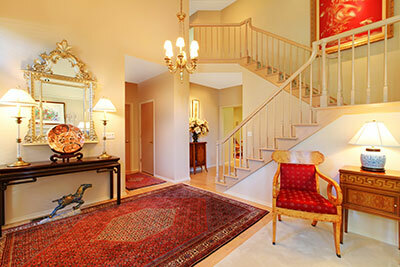 We apply a multi-step procedure to clean your carpet to perfection. It starts with dusting: we use a purpose-built dusting machine on the carpet to blow off all of the surface grime. This machine works similar to a vacuum cleaner, albeit with a different air direction and more power. The second step consists of washing the carpet by hand: although this is a traditional and time-consuming cleaning technique, our experience showed us that cleaning by hand always produces optimal results. Washing machines can be too harsh for the delicate fabric of a Persian carpet (especially an older one), and your piece could very well lose some of its complex shape and texture after a single machine wash.
Next, we give the carpet a gentle rinse with water to drain out all the detergent used in the washing process. The fourth step is drying: we hang your carpet in a temperature-controlled setting over night to ensure it's completely dry by morning. Lastly, we clean the fringes using custom tools to make them shine, as they are oftentimes the hardest part to clean correctly. No matter their age, origin and the materials they're made of, we'll handle your beautiful Persian carpets with the right combination of gentleness and thoroughness, just as they deserve.